Ford has unveiled facelifted versions of its popular people-carrier pair, the C-Max and Grand C-Max, expected to go on sale in early 2015. Ford claims the update will bring better driving dynamics, comfort and technology to the C-Max family. The refresh clearly seeks to build upon the car's reputation as reasonably priced and family friendly. The new models offer a redesigned centre console to provide more storage space, not that either car really needed it - the previous incarnation was capacious enough for plenty of family clutter. 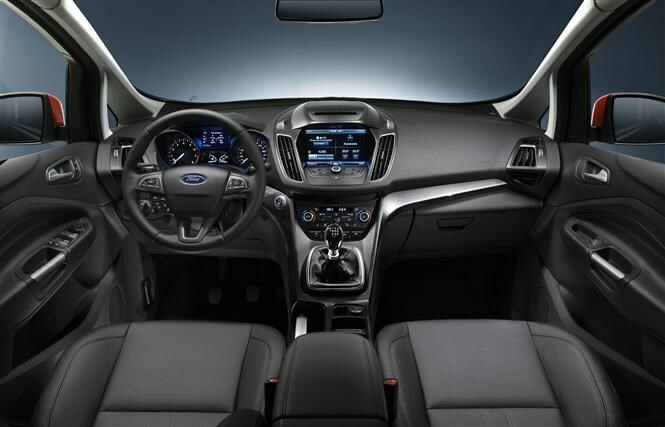 However, Ford has now included a new one-litre bottle or cup holder, swing-bin glovebox and deeper dashboard storage. Practical improvements don't end there: Ford has also introduced a hands-free tailgate to the car, something rival cars in the class have yet to catch up on. The interior features fewer controls and Ford has simplified the remaining buttons. Both vehicles will also benefit from a larger range of options, including door-sill scuff plates, a heated steering wheel and load net fitting points. 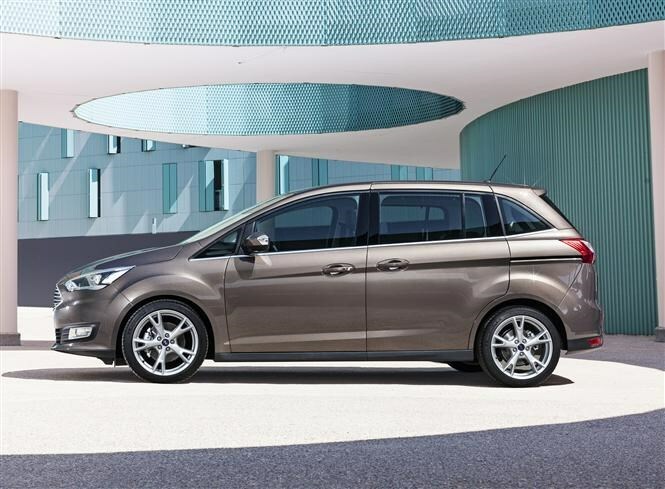 The C-Max and Grand C-Max will also feature Ford’s 'Sync2' voice activated connectivity system, which is being rolled out across the marque’s range. Parkers has already reviewed the system, which debuted on the new Focus in September. This system is designed to switch seamlessly between voice and touch commands, and provides a range of features. Simply announcing that you’re hungry prompts the system to find a restaurant, book a table and direct you there. The system should appeal to families: when kids announce they need the toilet, panicked searches on the sat-nav will be a thing of the past. The new vehicles will also feature a USB connection point, to both charge devices and make the most of Sync2's mobile connectivity. Sync2 also brings in a new safety feature, in the form of Ford Emergency Assistance which connects occupants with the emergency services in the event of an accident. 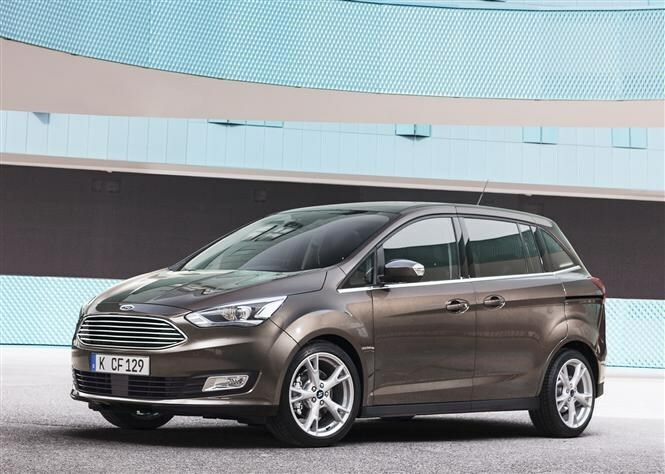 In line with market trends, the C-Max family will receive a range of economical petrol and diesel engines. Ford’s new 1.5-litre petrol and 1.5-litre diesel offerings form the backbone of the range, giving fuel economy of over 50mpg. 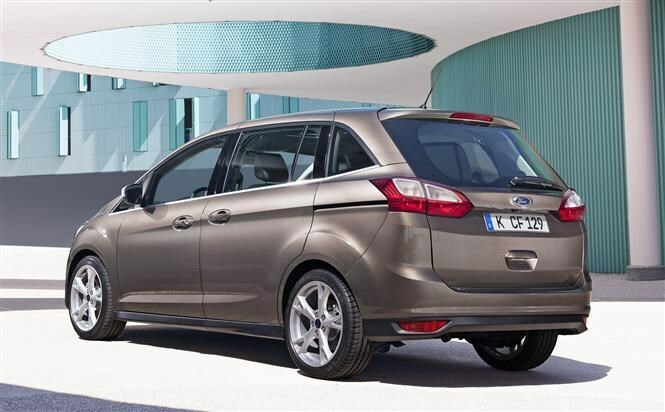 In addition, a frugal 1-litre Ecoboost petrol powerplant will be available in the standard C-Max. The 1-litre’s emissions have been reduced to 99g/km, putting it just into the £0 VED band. With these new engines, the affordability of running a member of the C-Max family makes the vehicles an attractive proposition. Ford has continued this attractiveness with a restyled exterior, to bring the car in line with Ford’s commitment to a global design language. In reality, this simply means Ford’s entire range of new vehicles will look eerily similar. The grille design has been standardised across the range, and the car certainly looks a more sculpted package. Ford puts this down to an innovative welding technique, and it certainly seems to have done the job. If this is what a ‘global design language’ looks like, long may it continue. Overall, the facelifted C-Max family should maintain its popularity; it’s affordable to buy and run, good looking and offers the all practicality buyers in the people-carrier class require. Watch out for more information from the Paris Motor Show next month.